​Being mindful means we are living in the present and tapping into the power and quality of mind which is aware of what's happening, without judgment and external interference. 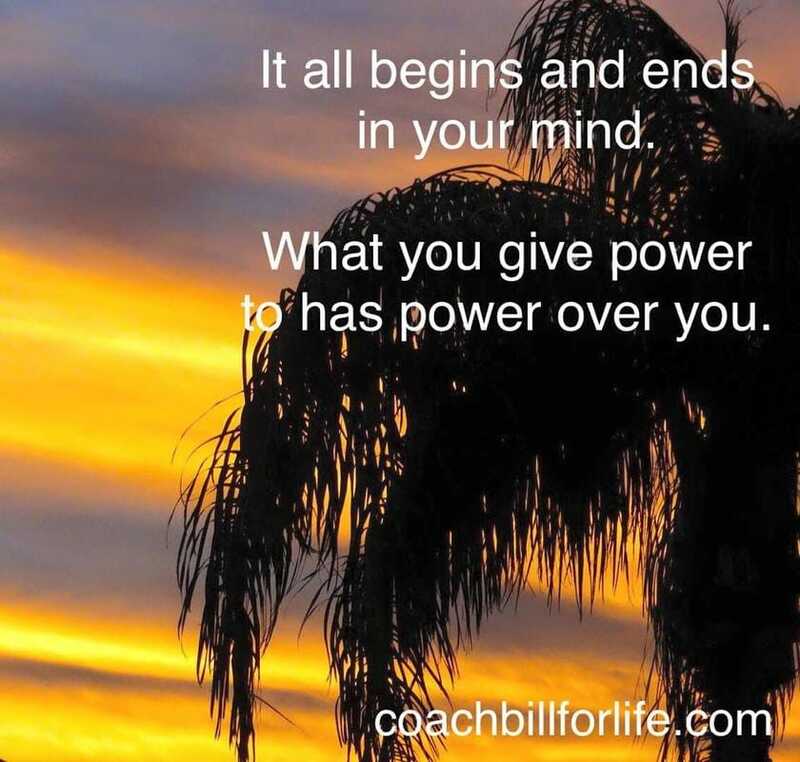 There is a power in being mindful and it is possible to be mindful in everything we do. The world is so full of distractions, that is easy to get caught up in many different things at the same time. Living a mindful life is so much more fulfilling. It's all about connecting the mind, body, and spirit to the here and now...to this moment, not what is coming up later. We can teach ourselves to live a life in which we cherish each and every second we are alive, for every moment we let pass us by, is one we never get back. Mindfulness keeps us connected to the people and things around us, so that we are not just simply rushing by being busy in our lives. Distractions are counterproductive. Being mindful can help us in every aspect of our lives, make us more productive, make our relationships so much stronger, and help us to live a life worth living. If you're not present in the moment how can you ever be fully present at any part of life? I teach a new way to look at things. With mindful focus you can be truly connected to every moment with the person you love, the job you like, the hobby you enjoy, etc. When we are in control of our mind, we are in control of our heart and we resist anger, we have more patience, and we are able to focus instead of letting the moment pass without value. In mindfulness we are more connected than ever before. The compulsive "checking-in" culture we live in is actually making us less genuinely connected. People sit in meeting rooms, restaurants, and living spaces together, but alone. Attention locked onto laptops, televisions, and mobile devices instead of one another. This digital numbness has caused chronic stress, input overload, sleep deprivation, and cognitive distraction, all of which are harming performance, focus, relationships, leadership, teamwork, and our overall well-being. People claim they don't have time to take proper care of themselves, but the real issue is not time management, it's attention management. Civility is declining - and yet everyone wants to be treated with respect, honesty, and kindness. The good news is that we are starting to recognize how out of balance our personal and work lives have become. We are hungry for more tangible human connections and a deeper meaning in life. Values are shifting toward what makes us feel more deeply alive: including being fully present and aware of the moment, and genuinely treating others with kindness, respect, and understanding. It’s time to release ourselves from our constant “busy-ness”, in order to appreciate the events, people, and the reality of the moment. Instead of being looked on as a strength, this constant need to be “busy” should to be recognized as a disconnection from living an authentic life. We must focus on the fact that taking care of our spiritual health isn't an indulgence, but is vital to our overall health and happiness. No matter what stressors come our way - whether externally through events, situations, and people - or internally via our nonproductive thoughts and challenging emotions - mindful awareness skills can teach us to choose how to respond with greater equanimity, instead of compulsive, mind-less reactivity - and all the stress that creates. We learn to listen in order to hear, rather than listening in order to respond. By focusing on being present, we can be more compassionate and thoughtful in how we react. Think for a moment what that might mean to you as a partner, as a leader, and as a person. When you can give yourself authentically, being fully present, just imagine the deeper connection you can feel with others and with yourself. Forward-thinking individuals from all walks of life, are choosing to incorporate holistic mindfulness skills into their lives. They have chosen to rethink their life from "busy-ness" to presence; living right here, right now, in this moment, and choosing to think and live differently from the mindless masses we have become. ​There is a Mindful Revolution at hand and you deserve to be part of it! Start by committing to daily meditation and go from there. There are dozens of types of meditation, you just need to find the one that works best for you. You must decide to take care of your spiritual health by learning to tune in to your intuition, to focus on the present, and to release the judgments of the outside world on your life. Need help? I can show you the path forward! ​Be Present, Be Mindful...I can teach you how! I am a practitioner, teacher, student an dminister of Mindfulness. The practice of being connected in the present. I teach the health and wellness that is associated with this practice. When we tocuh every part of our selves mindfully we can make peace with all that is happening. We are bombarded daily with information, conflicting ideas, and fears, what is imporatant for us to do is to look deeply and truly discover what os going on in our life. We need to practice the art of perspective, being able to tune out the noise that really doesn't matter and tune in to what really does. When there are battles going on inside of us, it won't be long before we bring those battles to others, even to those we love. The messages we see and watch daily; violence, hatred, discrimination, and fear of others, water the seeds of those things in us. When we practice being mindful, we can go back to ourselves and touch the our feelings, then we can determine which seeds we really want to water and have grow in us. With the focus of mindfulness we can calm things down, understand them, and bring harmony rather han conflict back to the elements insode of us. If we can learn to touch and water the seeds of joy, peace, happiness, and love that are already there we will become healthy and strong. In our practice we become a beacon of hope for others becuase we offer the gift of real presence to them. When mindfulness embraces those we love, they will be touched deeply by our authenticity. Mindfulness is filled with understanding and compassion because we disconnect from the judgments, prejudices, and negativity that surrounds us. When we are truly present we can show our loving-kindess and understanding to those we care for. Vedic Meditation: Vedic Meditation is an easy, natural technique that delivers benefits immediately. This simple, natural mental technique is practiced for 20 minutes twice a day, while sitting comfortably with the eyes closed. This brings about a state of deep relaxation so that within minutes the meditator is resting more deeply than sleep. Mindfulness Meditation: Mindfulness meditation is the umbrella term for the category of techniques used to create awareness and insight by practicing focused attention, observing, and accepting all that arises without judgment. Although the origins of mindfulness meditation come from Buddhist teachings—predominantly Vipassana meditation, but also incorporates philosophies and practices from other Buddhist traditions—the style and way it’s taught is nonsectarian and appeals to people from many different religions and cultures. Its simple nature and open philosophy has made it the most popular meditation technique in the West. Spiritual Meditation: This type of meditation is for those who regularly participate in prayer, as it's based on communicating with a Higher Spirit. Just like the other styles, you must become calm and quiet and then begin to focus on a question or problem you might have. This style of meditation can feel not only relaxing, but rewarding as well. Movement Meditation: Movement meditation may seem intimidating, but if you're by yourself and you really get into it, it can be extremely uplifting and relaxing at the same time. Sitting with your eyes closed, simply focus on your breath and try out different gentle, repetitive flowing movements. Rather than focus on a sound, object, or thought, just turn your attention to your movement. I find a slow left and right swaying motion to be therapeutic, or you could try moving your entire upper body in a slow circular motion. Mantra Meditation: Mantras are words that are chanted loudly during meditation. It may seem odd to be making loud noises during a meditation session, but it's actually the sounds that become the object being focused on. In yoga, the mantra Om is regularly used since it delivers a deep vibration that makes it easy for the mind to concentrate on that particular sound. Zen Meditation: Zen meditation, a type of Buddhist meditation where you focus your awareness on your breath and observe thoughts and experiences as they pass through the mind and environment, letting them float by. This may sound remarkably similar to Vipassanameditation, and that’s because it is similar. Although there are some differences, most would seem far more apparent to experienced meditators than those just starting out. One main practical difference is that in Zen meditation, the emphasis of the breath is at the belly, instead of the nose (as in Vipassana). Another big difference is that posture is much stricter in Zen meditation than in Vipassana, with stringent attention on a straight spine, tucked chin, and hands placed in a special position over the belly. In Zen, eyes are always instructed to be open, with a downcast gaze, and in Vipassana, there are not strict rules for the eye gaze, and beginners are encouraged to keep them closed. Chakra Meditation: A chakra is an energetic center in the body, and we have seven of them, each located in a different area of the body and each associated with a different color, sound, and energetic purpose. From the practice of yoga, chakra meditations can be very powerful, especially when focusing on and connecting with one element in the physical or emotional body at a time. Many chakra meditations use sound, specific placement of hands, and visualization techniques to connect with the chakras and bring healing energy to an issue or emotion that needs attention.